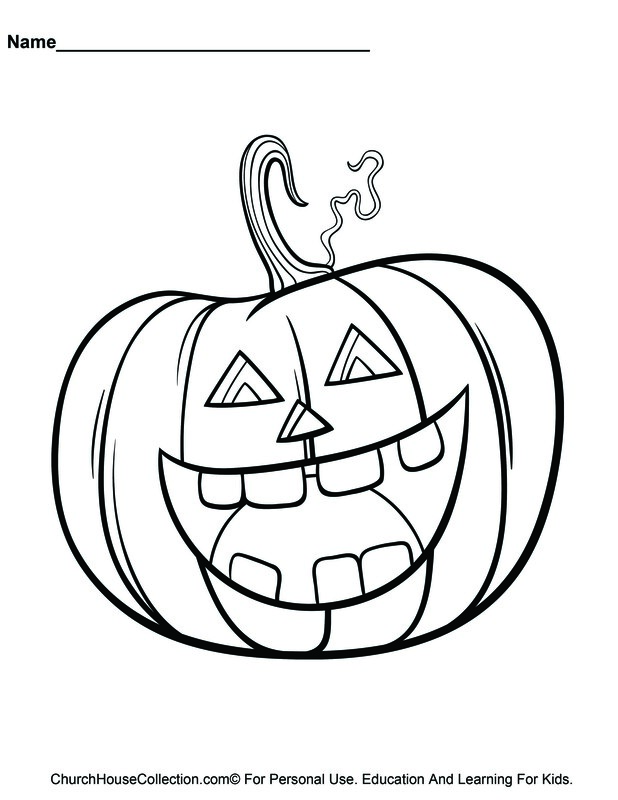 Print this pumpkin coloring page out for our kids in Sunday school or Children's Church. This pumpkin is holding a Bible up in his hand and there is a scripture below him that says, "Matthew 9:37,38- Then saith he unto his disciples, The harvest truly is plenteous but the laboureres are few: pray ye therefore the Lord of the harvest, that he will send forth labourers into his harvest. Use this coloring page with our Fall Sunday school lesson. It comes packed with crafts, snacks for kids, Fall Festival Ideas, Candy Corn Crafts, Scarecrow Crafts and templates, Cupcake Toppers, Mazes, Writing paper, Activity Sheets and more! We have Pumpkin Clipart and Pumpkin Coloring Pages. You could make up a bunch of fun snacks for the kids using our "GOD"S PUMPKIN PATCH SNACK" . The kids will really get a kick out of that. 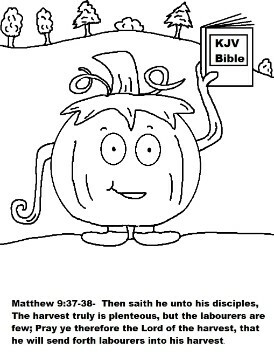 We have more Sunday school lessons that comes with free printable Bible Coloring Pages. We also have free christian clipart for you to copy and paste.